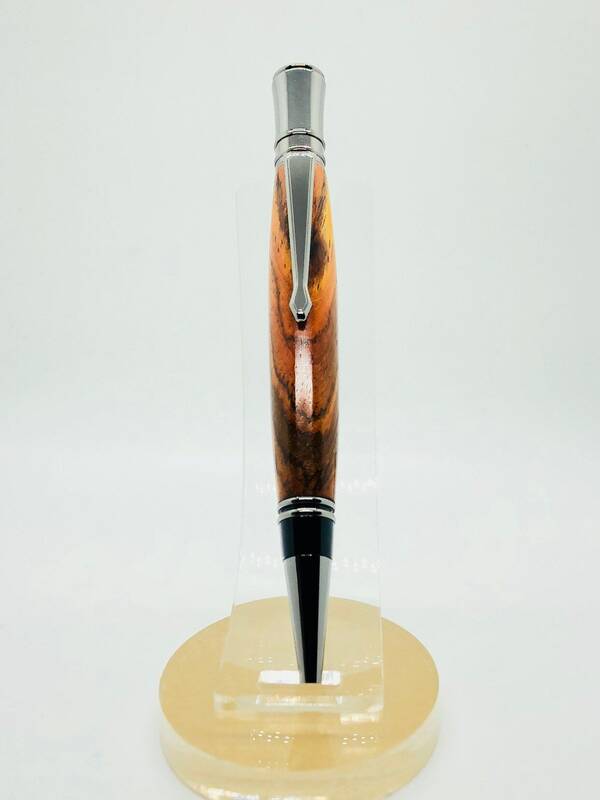 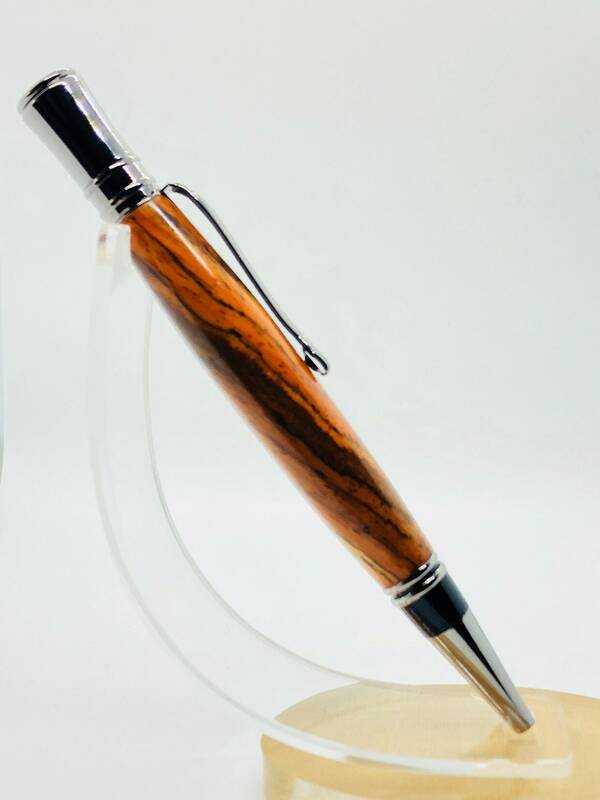 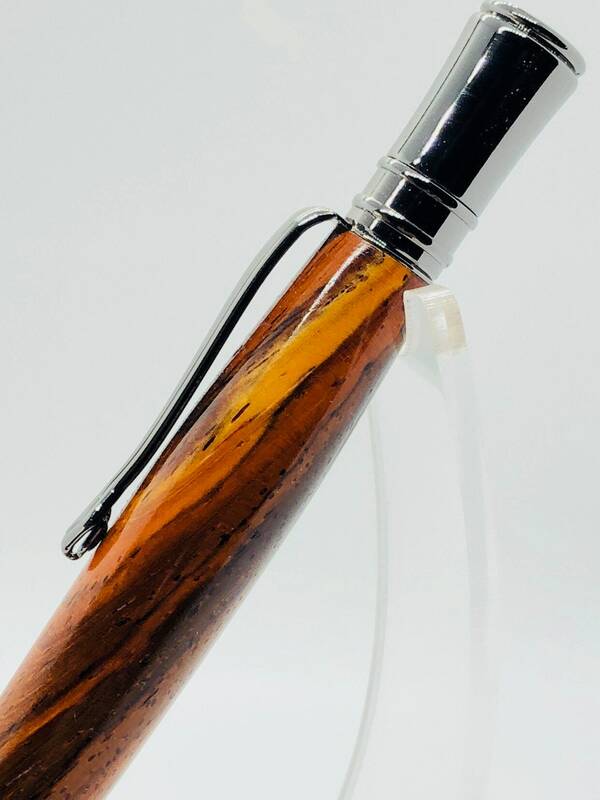 Vibrant colors and figure exemplify the nature of cocobolo wood. 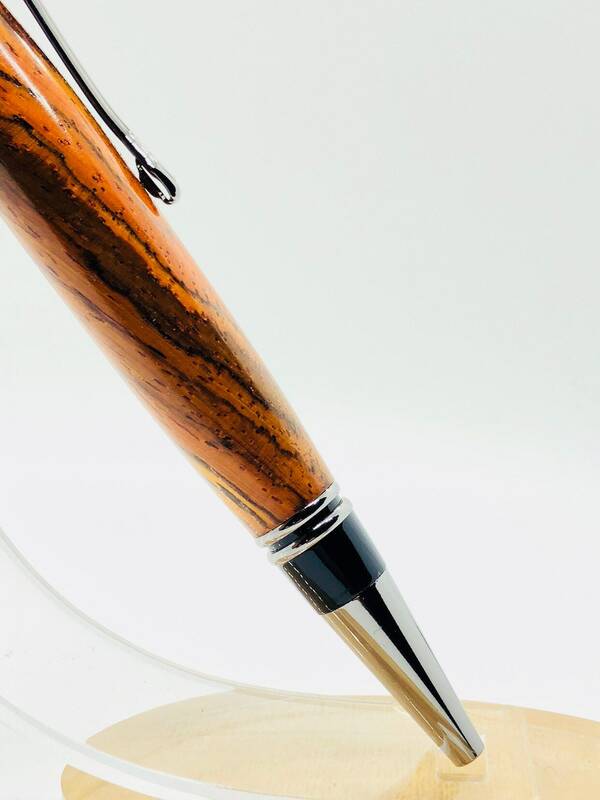 Lush oranges and browns shot through with a little hint of red. 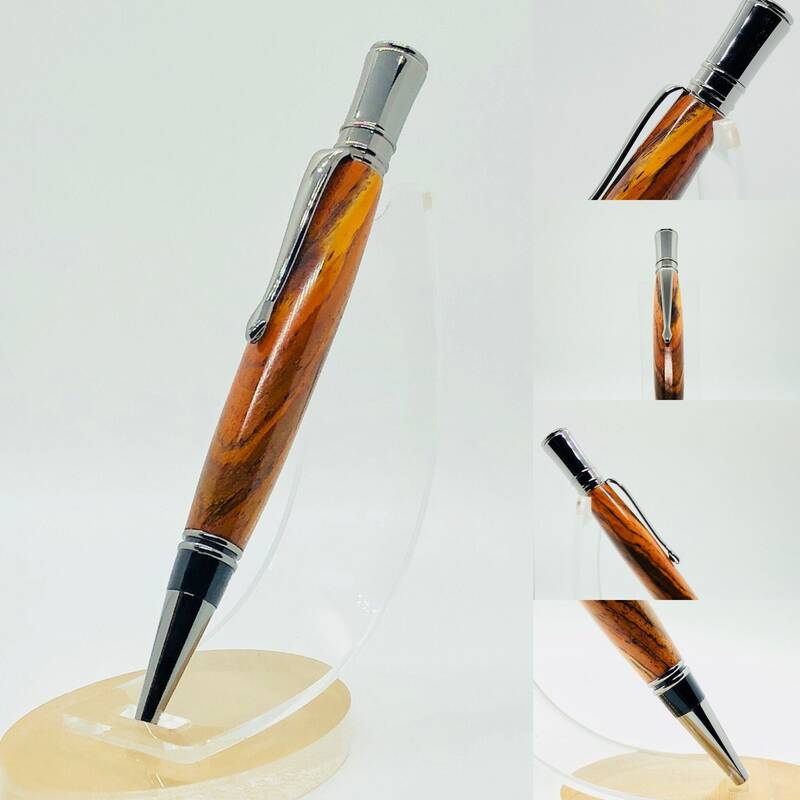 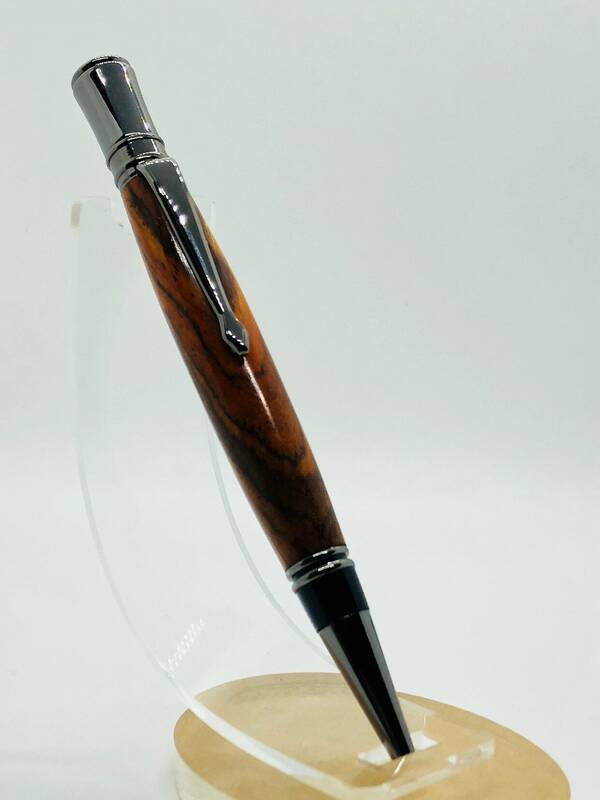 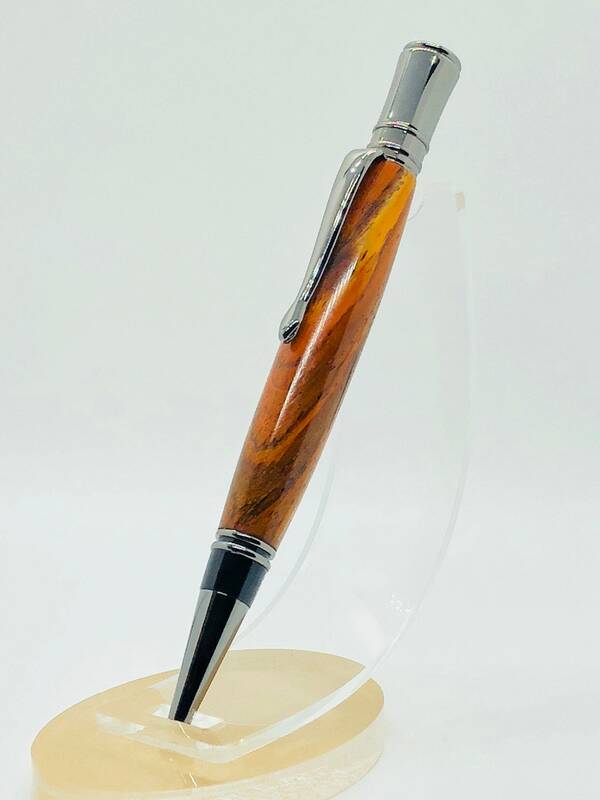 The twist top pen is classy and an elegant addition to any desk.